Do You Need Garage Door Repairs Eastbourne? 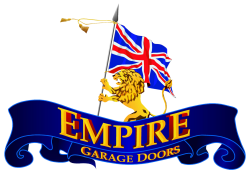 Empire Garage Door Repairs Eastbourne offers a comprehensive service, fixing and repairing damaged doors in Eastbourne with a full range of spares available on request. We have an extensive range of accessories for your Eastbourne garage doors, including automation, parking and security aids and spare parts for both past and present garage doors and electric operators. Not in Eastbourne? Still need to repair a garage door?